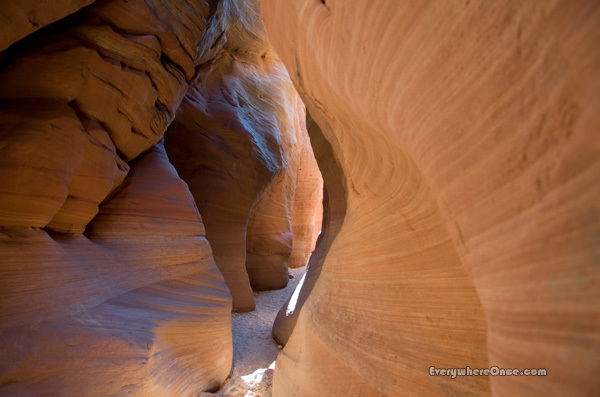 Buckskin Gulch in southern Utah is the longest and deepest slot canyon in the southwest and quite possibly the longest in the world. 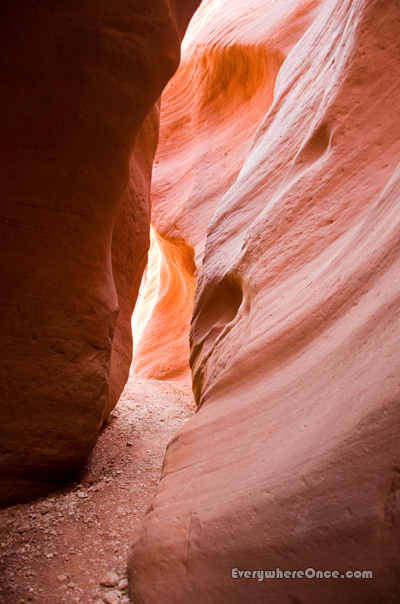 It also happens to be the first slot canyon we had the opportunity to hike. Many people tackle the 21-mile hike over the course of two days. We chose, instead, a shorter route through Wire Pass, making for an incredible day hike. A geologic wonder. Would love to walk it. Would love to take this hike just once in my life. The nature is always remarkable. 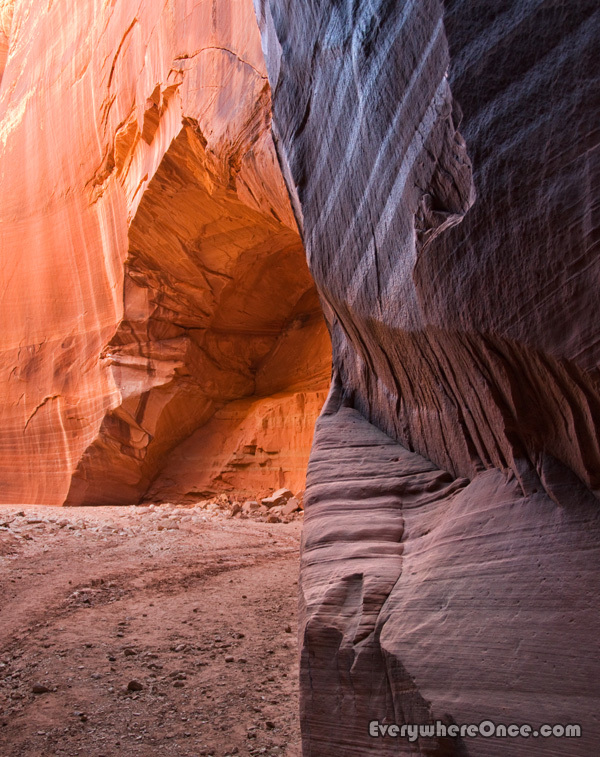 We have hiked a few shorter slot canyons in Utah, one that was pretty tight to get through. How narrow was this slot? None of the portions we hiked were narrow enough to make passing difficult. I’m not sure we ever needed to even turn sideways, although we did have to crawl under some debris at one point. Wow! There are so many amazing sights to behold in our country. I would love to see this one day! Done this one a few times. Absolutely amazing and not technical. I’m fascinated by this place, I want to go. Thanks for sharing the photos, they are stunning. Fantastic place and images! Thank you! Spectacular photos!!! What an adventure you two live! Thanks for stopping by my blog. I’ll be sure to follow you on your amazing travels–places I may never see, but can view through your “lens.” Thank you!! You’re very welcome. We’re glad to have you along for the ride. Beautiful. All the times I have been to Utah and not done this hike. I plan to next time. Is this one of the ones you have to get on a list to do??? Some of them they control the amount of people daily. You said elsewhere that you’ve visited Best Friends about a dozen times. This hike is only about a 40 min drive from Kanab, so it’s kind of a twofer. 😉 It also doesn’t require a permit for day hikes although you may need one if you’re camping in the gulch. I also think this trail is the one you use to see “The Wave” which does require a permit distributed by lottery. 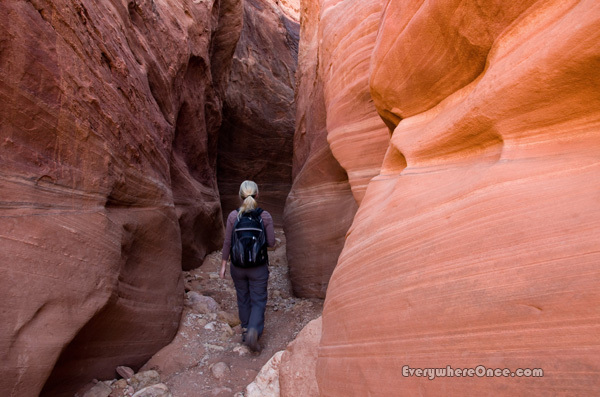 But if you’re in the area and planning this hike you can stop by the visitor’s center in Kanab, get on the list and see if you can add the wave to this already awesome hike. Exquisite! We are so privileged to see such beauty. Thanks for sharing it with us. Fantastic photos. I’d really like to get there, one day. I have always wanted to hike this and of course photograph the Gulch. Love these images…great inspiration! Amazing pics. Just letting you know I nominated you as a very inspiring blogger (http://ginplustonic.wordpress.com/2012/12/20/how-to-top-meeting-santa/) because I love your work. Keep it up.